The aluminum 6061 body combined with petite SS 304 rings is an elegant design which utilizes a bi-metal design to achieve something rarely seen nowadays. In a market saturated with yo-yos focused purely on the competition aspect of play, the Arcadia does different. With noticeably smaller stainless steel rings and an evenly weighted body, it has taken on the competitive nature of the bi-metal with a design focused on the enjoyment aspect of play. Using a nominal amount of steel on the rim allows for a very unique yo-yo. One that is extremely fun to play, fast, floaty, and light on the string. The Arcadia does have one thing common with all modern yo-yos though; it spins long enough to smash through any trick or combo. 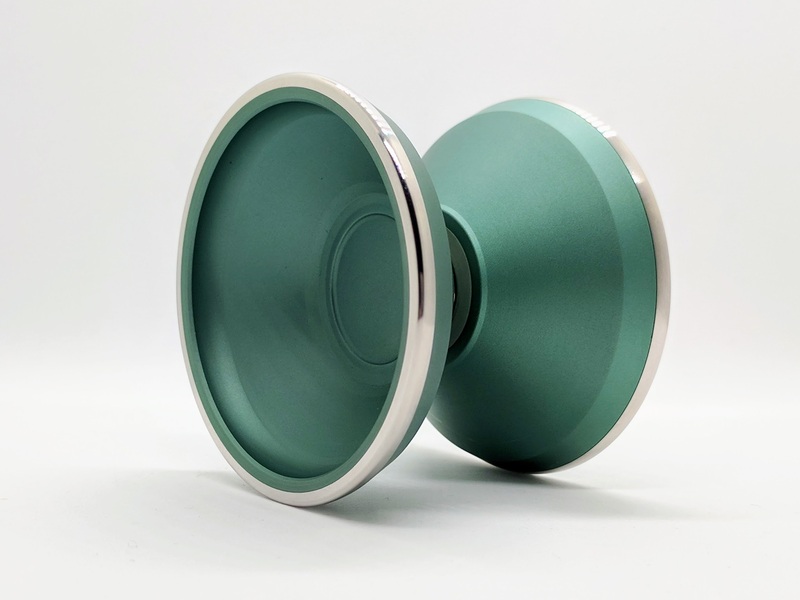 Links to reviews, profiles, videos, and news about this throw. Got a link to content about this throw that needs to be here? Add it below. Nov. 17, 2017, 2:44 a.m.
Nov. 17, 2017, 2:45 a.m.